Another frantic and absorbing high profile match up, as Liverpool entertain Roma over two legs for a place in the Champions League Final in Kiev on Saturday 26th May 2018. It’s been reported widely that Roma were ‘desperate’ to avoid Liverpool in the Champions League semi-final. Given the way Liverpool dispatched both Man City and Porto in the previous rounds by a four and five goals respectively you can understand Roma’s fear. Both sides managed to avoid Bayern Munich and Real Madrid, but given the cavalier attacking shown by Roma and Liverpoolin the last rough, neither can perceive this to be an easy option. It would be a bold move to back anything other than an attacking and free flowing game. 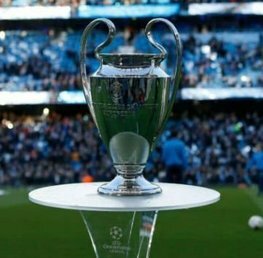 We preview the tie and pick out our best bets for the Champions League Semi Final 1st leg tie at Anfield. 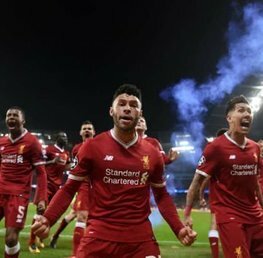 It’s difficult not to praise Liverpool’s style of play and high energy game which has already seen Liverpool beat the all conquering Man City three times this year. It’s not just the victories the Reds have been getting, it’s also the manner of the victories. In both the Porto and Man City ties, Liverpool all but wrestled the opposition into submission before the end of the first half in the first leg. If Liverpool start with the same intensity and ruthlessness it’s difficult not to back Jurgen Klopp’s men comfortably winning. 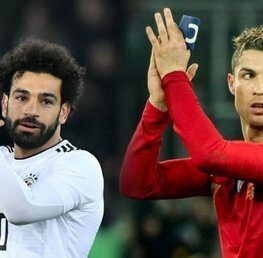 Old Roma boy, Mohammed Salah, is likely to be a pivotal protagonist and who would back against Salah being the first goalscorer at 11/4 (best priced) with Sporting Bet. 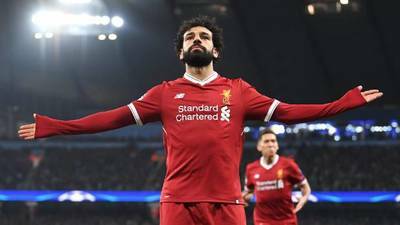 The Egyptian is well on his way to smash Ian Rush’s club record of 47 goals in a season for Liverpool. Roma might well feel justified in being short changed with the £37m they received for the marksman at the start of the season. With Mane and Firmino backing him up even if Salah doesn’t score Liverpool usually do! Liverpool have scored 117 goals in all competitions, 33 goals of those in the Champions League. And with the introduction of Virgil van Dijk, Liverpool have stiffened up their defence at the business end of the season. It’s a compliment to how well Liverpool have ended the season that many pundits are lauding more over Liverpool than Pep Guardiola’s Manchester City. The Liverpool injury list includes Adam Lallana, Joel Matip and Emre Can, although Liverpool are arguably able to field their strongest starting eleven. Dejan Lovren should return with Trent Alexander-Arnold expected to start despite Joe Gomez returning to contention. Jordan Henderson returns after missing the last Champions league game with a suspension. Nobody anticipated Roma’s comeback against Barcelona after a 4-1 defeat in the Camp Nou in the first leg. It was a truly magical European football evening, which dumped Messi and co out of the Champions League in the most spectacular fashion. Roma will feel like underdogs in the clash, but you get a sense Roma will revel in it. Roma seem most dangerous when all hope and expectation is lost. Roma will have more knowledge of Liverpool danger man, Mo Salah, than most. Salah spent two successful years at Roma so Eusebio Di Francesco’s team will know all about the Egyptian's strengths. In Edin Dzeko, Roma have a high class and high scoring centre forward, who has the ability to cause Liverpool big defensive problems. Dzeko is an old fashioned tall and strong centre forward with great skill who seems at home with Roma. Even Dzeko confesses to Salah’s departure having a detrimental impact on Dzeko and Roma this season, with Dzeko only managing roughly half of his goal tally from last season (39 goals). Dzeko is best priced 8/5 with William Hill to score against Liverpool, which offers good value, and as Liverpool showed against West Brom at the weekend, the Reds can still be vulnerable from set pieces and corners. I just can’t see Roma getting the better of Liverpool over the two legs, but then not many could see Roma doing it against Barca. Lightening doesn’t strike twice! Liverpool have scored 33 goals in the champions league this season. Liverpool beat Roma on penalties in 1984 European Cup Final. This is first time Roma have reached this stage of the new format Champions League competition. Liverpool’s record at Anfield against Italian opposition; 6 wins, 0 draws and 4 defeats. Liverpool are unbeaten at home in this season’s Champions League. For me this is all about Liverpool and I can’t see Klopp’s men shying away from the challenge. Liverpool should have the better of a fairly average Roma defence. Alesandr Kolarov and co could well be exposed in the first half just like Man City and Porto were. The pace, pressing and intensity of Liverpool will be too much for Roma and I expect Liverpool to take a comfortable two or more goal lead to the Stadio Olimpico. As Felix Brych is officiating the game I’m going to back bookings. Brych has dished out 93 yellows and four reds in 26 matches this season and given the occasion and pace of Liverpool I fancy a cards fest! Liverpool, to score in both halves: 11/10 with William Hill - Visit William Hill! Liverpool to win and over 3.5 goals: 9/4 with Coral - Visit Coral! Sadio Mane to be shown a card: 13/4 with Unibet - Visit Unibet! Please note all odds are correct at the time of publishing (12:00 22nd April 2018) and are subject to change.